Robin and Warren Heydenberk gave as a gift the DVD “Queen of the Sun”, an 82 minute documentary about bees. It is available for you to borrow. Contact Julie Fagan (610) 847-2411 or email goingreenpa@yahoo.com. In 1923, Rudolf Steiner, a scientist, philosopher & social innovator, predicted that in 80 to 100 years honeybees would collapse. His prediction has come true with Colony Collapse Disorder, where bees are disappearing in mass numbers from their hives with no clear single explanation. 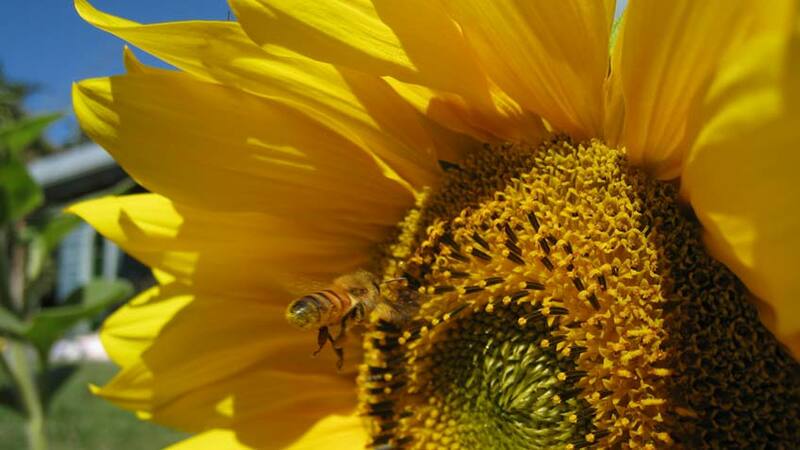 In an alarming inquiry into the insights behind Steiner’s prediction QUEEN OF THE SUN: What Are the Bees Telling Us? examines the dire global bee crisis through the eyes of biodynamic beekeepers, scientists, farmers, and philosophers. On a pilgrimage around the world, the film unveils 10,000 years of beekeeping, highlighting how our historic and sacred relationship with bees has been lost due to highly mechanized industrial practices. Featuring Michael Pollan, Vandana Shiva, Gunther Hauk and beekeepers from around the world, this engaging, alarming and ultimately uplifting film weaves together a dramatic story that uncovers the problems and solutions in renewing a culture in balance with nature.